One of the drawbacks of working as a Freelancer is that you have no boss around to keep a check on you, to remind you that you have deadlines, or remind you of the fixed 9-5 schedule. Unlike a regular job where you have to follow certain guidelines and protocols whether willingly or unwillingly, freelancing gives you an absolute freedom. You can choose your own time and own work schedule. Even though the specific deadlines of each project might prove a little factor in keeping you disciplined, it may not prove adequate. If deadlines aren’t too tight, you might relax a bit, but then it would further prove hindrance to your success in a long haul. If freelancing is what you chose as a career for you, then at one time or another you’d have to sit back and reconsider your decision. You’d have to put a little restrain on your freedom and/or laziness in order to get yourself back on track. Otherwise it would be wiser to look for another career option. If you’re still inclined at continuing the freelancing career read on. First of all it is a must that you prepare yourself an upright and appropriate schedule. In fact making and sticking to schedules is the most important thing for any kind of professional. Always remember time is money, time is success. Without a proper schedule you’d be clueless and at most times unable to meet deadlines in assigned time. Let’s discuss how we can make ourselves a good schedule. 1. Define your working days and working hours. Now, that’s totally up to you to decide how much time in a day you want to spend working, and how many days in a week for that matter. Since you’d be working from home (unless you’ve decided to take your freelancing to another level) you must keep in mind that you’ve got a social life too. Keep a reasonable amount in your schedule fixed for your family and social life. Once you’ve decided the number of hours and days, it’s time to put them down on a piece of paper (or in a file at your computer). In addition to listing down the quantity, you must also list down the exact time of day and week when you’re most fresh and your working ability is at its best. (Read about Peak Working time in this article). 2. Arranging all of your assignments in place. This one would be a task on continual basis since you would keep receiving more and more work throughout. You may also have some permanent or longer project that requires continuous inputs from you on a timely basis, for example if you’re responsible for maintaining a blog (self or that of a client). List down all the work you have permanent, or temporary (and never forget to accommodate further as soon as you receive another project). Prioritize all your work based upon your own inclination, requirement of the work, and of course the client. 3. Estimate the amount of time required. Once you’ve listed the entire work at hand, along with the number of hours you’re prepared to work; it’s time to determine what amount of times you are looking at. You’d be surprised to learn how two articles of same length might take different amounts of time to complete. Besides judging the time required you should also find out which work would require more focus than others. 4. Make space for individual work in your schedule. Now that you know your priorities it’s time to fit them into your schedule. Dependent upon the amount of time required you can divide your days accordingly and fix the work at the spots with enough time. 5. Giving time to other things. Once you’ve given appropriate time to all your work, it’s important to focus at things other than work. You cannot forget to find to time in your schedule to market yourself. You cannot rely on the ongoing projects forever since as soon as they’re over you’ve need more projects to work at. You should take some time out to receive or accept newer assignments from your existing associates or through bidding at various freelance websites. Once you have an efficient schedule you may keep your mind relaxed and get back to the projects without having to worry about the deadlines. It might help you eliminate any kind of work stress that might have developed because of improper work schedule. 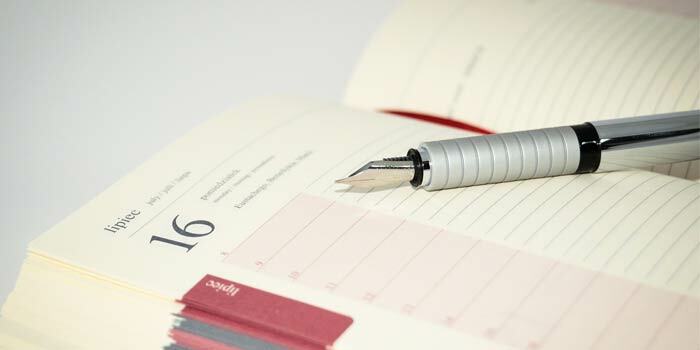 Like efficiency is the definite key to success and in turn happiness, a good schedule is one of the most important keys in achieving efficiency. Previous articleThe Poetry Of A Common Indian Female: Real Women, Real Stories of Hope and Optimism!